Green Communications showcases its Green PI technology integrated into mini-drones to create a collaborative swarm that can be deployed by a single operator over isolated areas without Internet coverage nor GPS signal. 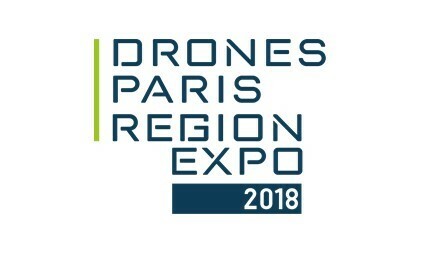 Come and visit us at Drone Paris Region Expo, September 27-28, 2018 in BRÉTIGNY-SUR-ORGE on AIRBUS’s booth 19. For more information on Green Communications’ swarm of drones solution, or to meet with our team, please contact us. Imagine a world where connectivity is everywhere and has zero impact on the environment. This is happening now. 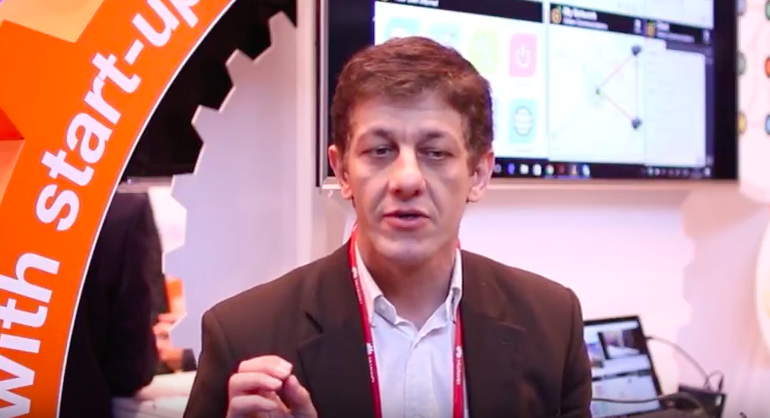 The concept will be showcased at Viva Technology 2018, May 24-26 in Paris by Orange in partnership with Green Communications. At the entrance of VivaTech show, visitors will discover a Green PI connected station offering public WiFi hotspot and proximity services available on a local web portal. The standalone station is solar powered, mobile and connects to Internet and with other connectivity stands wirelessly so that one can deploy one or a group of stations with no constrains. The web portal offers local content and collaborative applications (chat, video, file sharing, etc.) hosted close to the end user to increase the navigation speed and reduce the energy resources used to reach vicinity information. Green PI is the low carbon impact Internet infrastructure developed by Green Communications. Green PI is composed of low power mesh hotspots with edge cloud and local applications and services. For more information on Green PI and to meet with us at Viva Technology 2018, please contact us. Green Communications was selected as one of the most innovative startups to participate in Cisco’s IoT for Business Lab during Viva Technology 2017. 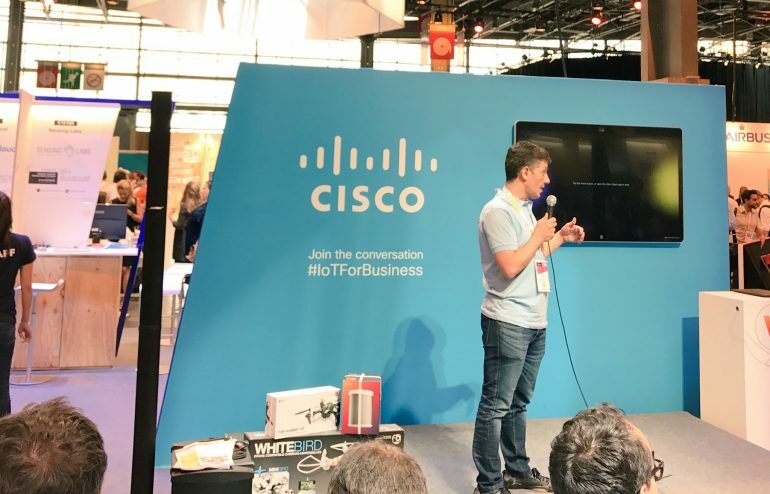 Cisco initiated a Runway Program for winning startups, giving them an opportunity to further their collaboration with Cisco experts and allowing access to Cisco’s technology to continue building their prototype. Green Communications in the top 5 best startups of Vivatech 2017. Thanks objetconnecte.com for your selection. 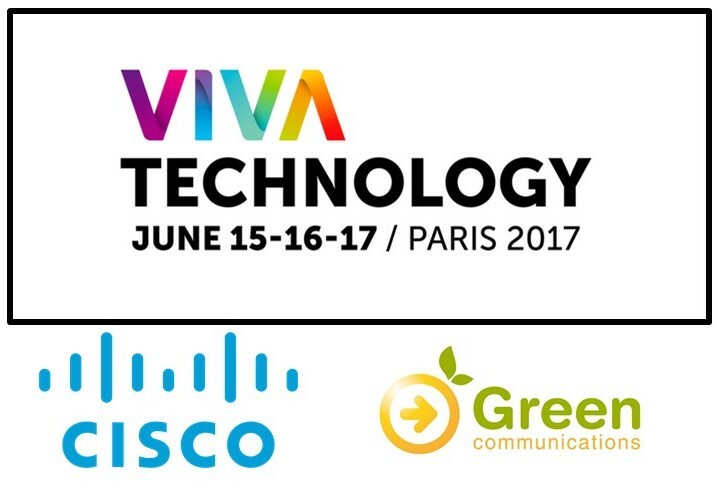 Green Communications is invited by Cisco to exhibit its technology Green PI for IoT and connectivity at Cisco’s IoT Lab during Viva Technology Paris 2017. Green Communications will have the opportunity to build a Green PI based prototype with Cisco. Green PI is a new generation of Internet infrastructure merging both embedded MESH and FOG computing technologies for faster, cheaper and energy efficient network densification. To meet with us at Cisco’s IoT Lab (hall 1 – booth C12-029) during Viva Technology, June 15th-17th in Paris, please, contact us. 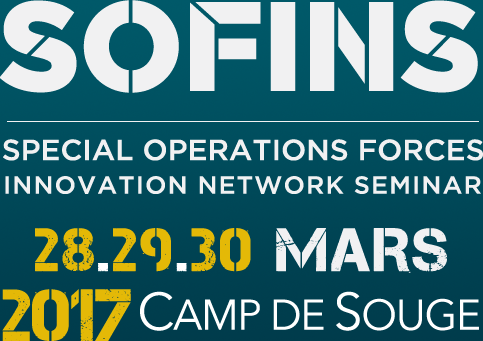 Green Communications was selected to present its Swarm of Green PI Connected Drones solution at the Special Operations Forces Innovation Network Seminar (SOFINS) that will take place on March 28-30, 2017 in Bordeaux. Come and meet us at Cercle de l’Arbalète’s booth. For more information on Green Communications’ drone solution, please contact us. Green Communications was selected to participate at the National Competition of Outdoor Robotics that will take place at Le Bourget on March 7, 2017. We will demo a Swarm of Green PI Connected Drones for augmented aerial surveillance. Come and meet us at our booth on March 7 to discover our drone solution. For more information about Green PI embedded MESH technology, please contact us. 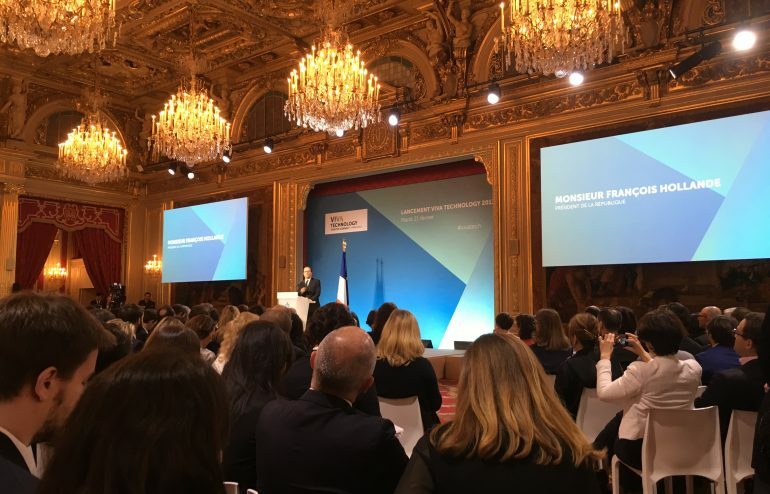 Pauline Loygue, CMO of Green Communications, participated to the launching ceremony of Viva Technology 2017 at the Elysée Palace. 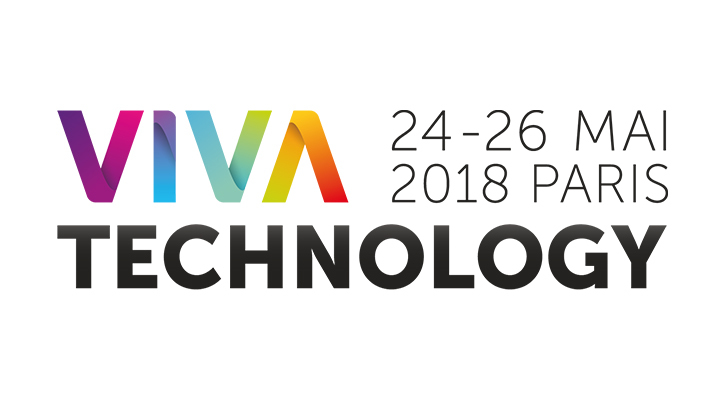 VivaTech brings innovators together in a unique worldwide event to grow their business and shape the future. More information on Viva Technology show, 15-17 June, 2017 by following the link. Meet us at MWC 2017! Green Communications showcases Green PI – your next 5G infrastructure for fast network densification – at Orange’s booth (Hall 3-3D10) on February 27 during the Mobile World Congress 2017 in Barcelona. Green Communications is strongly engaged in the development of new networking solutions to answer connectivity challenges of Internet saturation and sustainability. Therefore and following 5G requirements that advocate densification as the solution to increase the capacity of Internet and to reduce its carbon impact, Green Communications created Green PI, a robust, energy efficient while affordable densification solution for Wi-Fi, 3G, 4G, LTE and beyond networks. For more information on the MWC2017, follow the link. To meet with us during the congress, please send us an email. Please answer the following question: How much is 2+2?